Kamehameha Schools was founded by the will of Bernice Pauahi Bishop, the great-granddaughter of Kamehameha the Great. 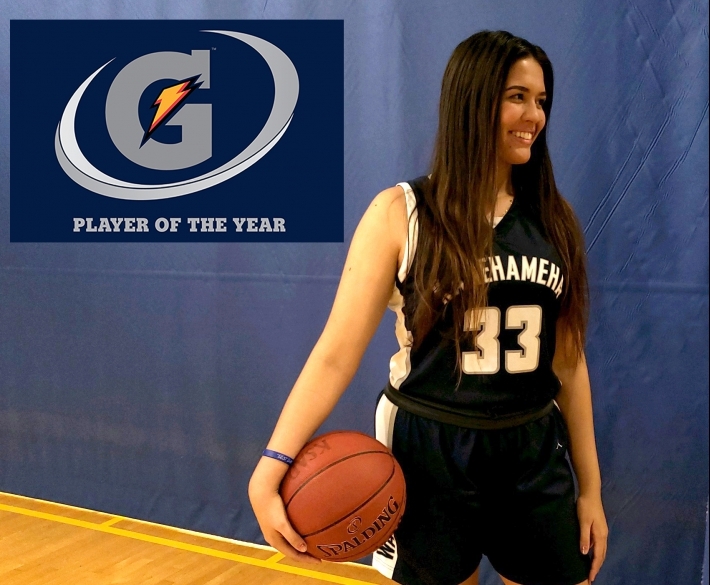 Kamehameha Schools Kapālama senior Kalina Obrey was named 2018-19 Gatorade Hawai‘i Girls Basketball Player of the Year on Friday, International Women’s Day. Kamehameha Schools Kapālama senior Kalina Obrey has been named 2018-19 Gatorade Hawai‘i Girls Basketball Player of the Year. The prestigious award recognizes athletic excellence as well as high standards of academic achievement and exemplary character demonstrated on the court, as well as in the classroom and community. The student-athlete led the Warriors to an 18-7 record and a HHSAA Division I state championship game berth after averaging 18.5 points, 8.2 rebounds and 1.9 steals per game. As the Interscholastic League of Honolulu Player of the Year, Obrey is a three-time all-ILH honoree and was also selected to the 2018 USA Today All-USA Hawai‘i Second Team. Obrey, who is the third award winner in KS Kapālama girls basketball program history, has maintained a 3.63 GPA, and signed a National Letter of Intent to play collegiate basketball at San Jose State University. In her limited free time, she has volunteered locally on behalf of multiple youth basketball programs and at a church thrift store. As part of Gatorade’s “Pay it Forward” initiative, Obrey will have the opportunity to award a $1,000 grant to a local or national youth sports organization of her choice. ©1996-2019 Kamehameha Schools. All rights reserved. Statements of privacy, copyright and disclaimer Suggestions?